Nordic Green & LOVING IT! 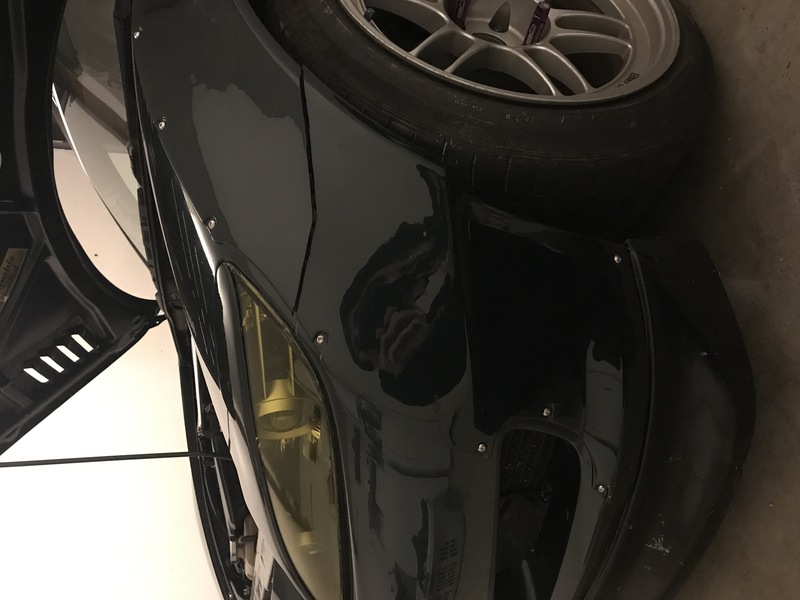 Making a separate post from my original sale post because it seems most people want my kit/want to ask questions about it, and don't really care about the rest of the car. The flares are Rocket Vanya Lions kit. They are $930 shipped from Russia with around 2 or 3 weeks (I guess) shipping time. Mine have been modified to be the best they can possibly be. I am selling because I am going with rocket bunny front flares. I just like the style more, just personal preference. -These are located in Huntsville Alabama. Shipping won't be 130 bucks and won't take as long. -Mine are already prepped and ready to go. They have expanding foam in the back to prevent cracking down rock hitting them. They are also coated in bed liner for added rigidity. -Mine have been shaved along the mold line. This allows the wheels/tires to be as close as possible. As you can see, my fitment is VERY wide. 11.5" up front. -Lasty, they have been cut along the bottom to allow a lip to be ran with them. I prefer a lip because otherwise the car looks weak. 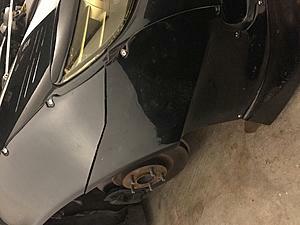 -Mine are cut along the bumper line to allow taking the bumper on and off to be painless and easy. Otherwise you have to take off 20 bolts just to remove the bumper. -Only thing I can say here is that because I cut mine along the front bumper line it caused the flares to raise up a bit. 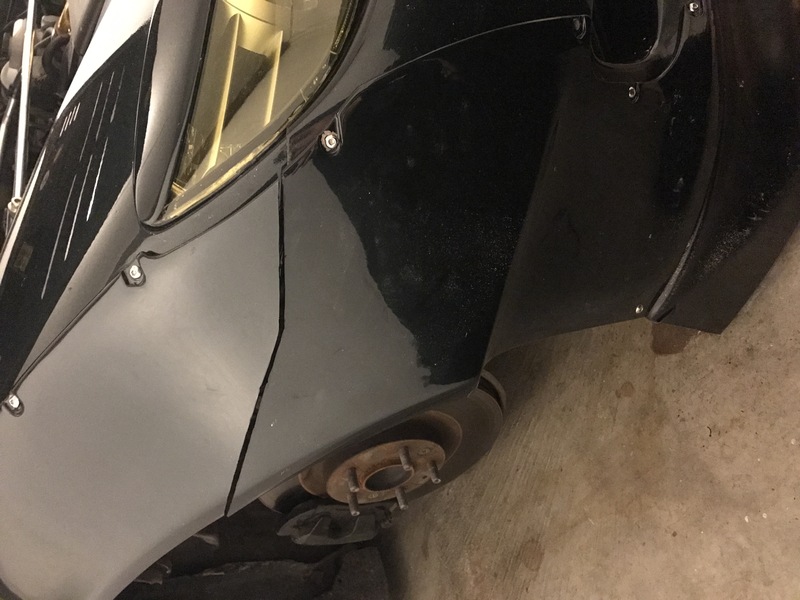 It's an easy fix, you'll just have to add some bolts to hold them to the fender. Totally doable, I'm just not going to do it for you. -I will trade bumpers with you if we can meet face to face. 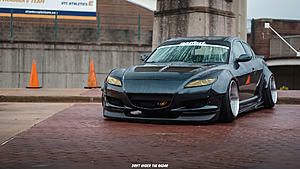 Mine has been modified to fit these specific flares, they will not fit correctly for the rocket bunny flares so I need to get rid of the bumper and get another. 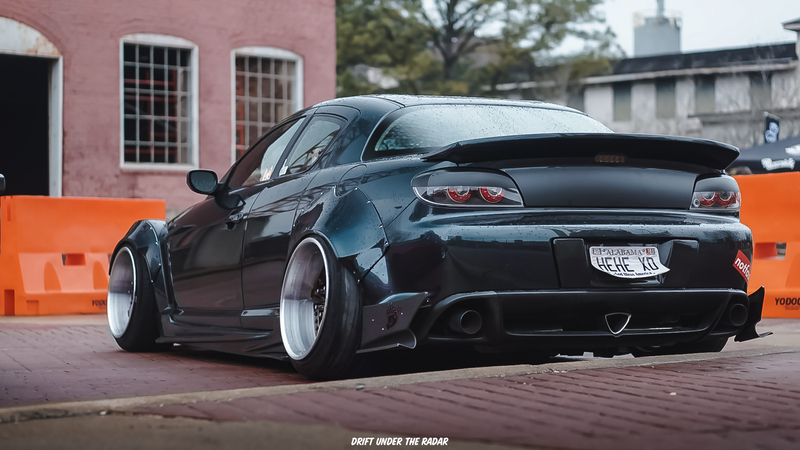 Anyone w/ Aero Side Flares but W/O rear Flares?